When it comes to make a decision whom to cooperate with to get as much cash as quoted while selling your old textbooks, there is no easy way to choose the right and well-trusted marketplace among the abundance of suggestions on the net. Clearly, various reviews from users may be a great hand in making that hard choice, however, each venue always attempts to attract a potential customer to collaborate only with their e-commerce as no one else would be so preferable. Well, our BooksRun marketplace won’t be left behind the tendency of customer’s temptation as this post will be totally devoted to the enlisted priorities that make our e-platform more outstanding that others giving our lovely customers extra-benefits that no other venue may boast of. #1. One of the greatest options that are offered by BooksRun is estimated to be free shipping when the buyback created. The customer may sell the items back to us with the prepaid shipping label specifically generated for the submitted order regardless the weight or the number of books quoted. The same case comes along with the purchase order as our venue ships packages at our own costs daily. What is left for customers is to enjoy their cash received afterwards. #2. When the buyback order is created, BooksRun ensures no limitation in the quantity of the same ISBN that a customer would like to sell and quote. Such an option allows to clean your shelves from unnecessary textbooks bringing only mess and dust in your room. So, do not hesitate to sell a bundle of copies back to us at a favorable quote. #3. When customers submit orders, they always want to be kept updated concerning the items purchased or sold. Thus, BooksRun strives to resolve all arisen matters from customers with constant notifications about all actions regarding the order. In case of various disputes, return requests, issued payment, rental expiry or other issues either a confirmation letter or a follow-up message is always sent to the customers’ contact addresses. Such feedback leaves the impression of constant concern about our dearest clients as well as it helps to make all problems resolved immediately. #4. Once the package is shipped, the first questions on the mind is what destination the parcel has already reached and how long it is left to be delivered to the requested address. To prevent customers from such worries, a tracking number from USPS or FedEx is always provided inside any order. Thus, it is a good way out when the customer himself may trace the location of the order and there is no need to be frustrated whether the items are shipped, lost in transit or misdelivered as there are constant updates from the carrier’s side uploaded on the website. Moreover, such a function really reduces the overloads of contact emails received by our BooksRun Customer Support that is always eager to figure out and investigate the resolution to any matter concerned. #5. The newest function that makes our marketplace really outstanding from other venues is, of course, the possibility to submit a rental order. After the semester starts, not all students can cover book expenses that are enlisted in their curriculum. Thus, the way out is supposed to be the rental option promoted. Major advantages of such a deal are that customers pay less, may always extend the rent of the book for a needed time period and they may return the item whenever they would like to taking into account the rental expiry date in order not to be charged, of course. #6. 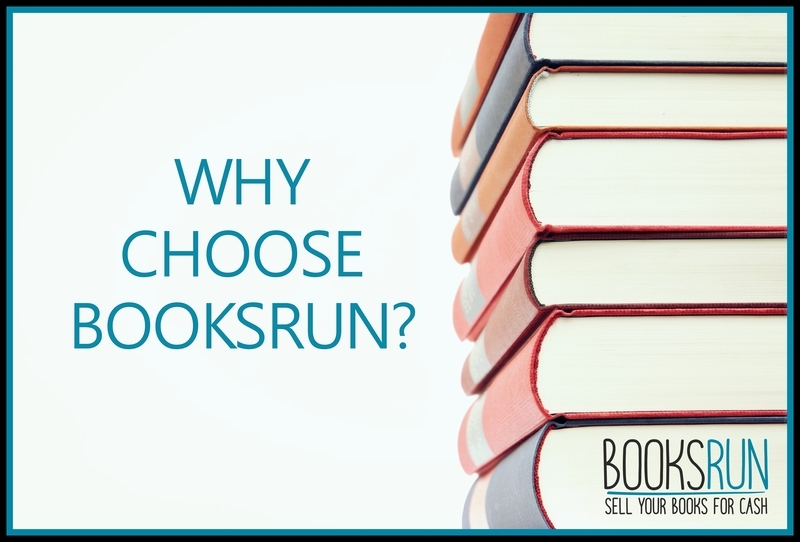 The highest buyback and lowest purchase prices are offered on BooksRun venue to attract the majority of potential customers and make them pick up exactly our services for their demands and needs. Any person can compare our prices with other marketplaces and make the most profitable deal with whoever and whatever company they desire, nevertheless, please bear in mind that we offer the best ones without any confusion or embarrassment from our side. We may also boast of the quality of services provided regarding the order processing and item shipment. #7. Recently our blog with Tom the Bookworm has been updated and a new tendency has been initiated to increase the percentage of blog readings and post comments. Thus, various contests are held to give our favorite customers an opportunity to win easy money just for fulfilling simple tasks while just reading and looking through posted articles. The sum of money varies according to the complexity of the task itself. The biggest pro for customers is that they can easily check their memory and logic, quick reaction and just win money for their abilities. The tasks themselves tend to be developing and beneficial for all sides. #8. As for an easy money-gaining opportunity, our BooksRun keeps promoting our services in such a profitable manner that makes both sides who are our company itself from one side and our dearest customers from the other one happy in all perspectives. Exactly for that reason, the affiliate program has been initiated to give extra bucks to those customers who are our active users and are eager to promote our venue on their social network accounts. The whole essence of the program is based on reaching us by their guests using the link provided to BooksRun main page. Thus, such promoters of ours may increase their profit by selling books to us plus gaining certain percentage from visitors who have successfully found us with the placed links in the right places. #9. One more idea for moneymakers may seem quite attractive either: regular promo codes on holidays + v.i.p. coupons for regular buyback sellers are always provided. All what is requested to fulfill is to follow our blog posts for such coupons on holidays and be our active seller as well for cashing such a coupon out right away. #10. We cannot but mention also our convenient office/warehouse location in Staten Island, New York from where all orders are shipped and delivered to. Such destination helps to send packages easily and fast and the chance of item misdelivery equals to none due to a perfect handy placement. So, do not hesitate to probe all those specified advantages at once by becoming our lovely customer! Next Post Scientific facts: why should we read books?